Google has unveiled a slew of new hardware including two new own-brand smartphones, the smart speaker Google Home and the DayDream VR headset - but its artificially intelligent assistant took the spotlight. The company also unveiled a new campaign from Droga5 New York promoting the new Pixel phones, called "Life by Google", positioning Google at key moments in people's lives. Google opened its Made by Google keynote with a new skit from "Silicon Valley", in which two of the key characters get het up over the event. Perhaps unintentionally comically, chief executive Sundar Pichai then appeared on-stage to discuss the technical nitty gritty of Google's knowlege graph, which underpins semantic search, machine translation, and text-to-speech. But he hinted at the bigger picture. "We are evolving from a mobile-first to AI-first world," he said. "Wouldn't it be nice if you had a Google for your world?" While Google's keynote was ostensibly about hardware, the event was underpinned by software. An evolution of Google Now, the conversational Assistant takes on Apple's Siri, Microsoft's Cortana and Amazon's Alexa. It's likely that Assistant will be the most advanced AI versus rivals, primarily due to Google's long-running investment in AI, and the troves of data it holds. Assistant also comes baked into Google's two new smartphones. 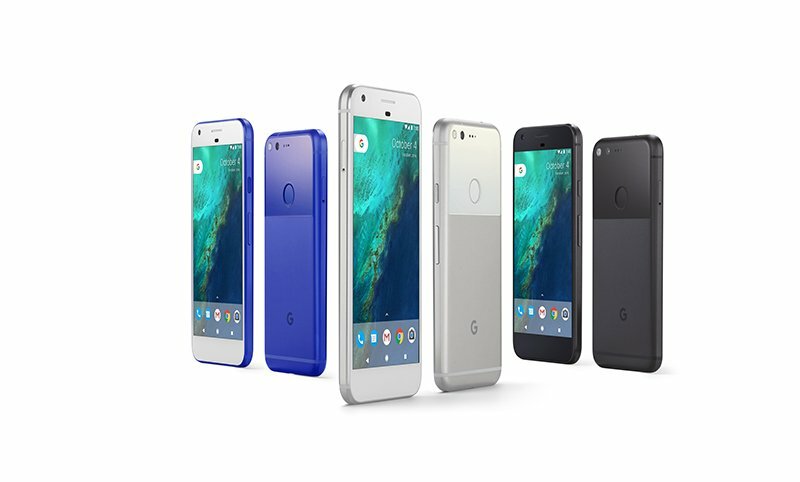 Google appears to have dropped its Nexus brand entirely, focusing instead on the Pixel range. To that end, the company launched the 5in Pixel and 5.5in Pixel XL. Observers have suggested both phones could rival the iPhone in terms of hardware design. Google's hardware chief, Rick Osterloh, also took a shot at Apple while introducing the phones. "There's no unsightly camera bump," he said, referencing the iPhone 7's visible bulge. Both phones come with unlimited cloud storage for photos and Google Allo, the company's Snapchat-like messaging app. 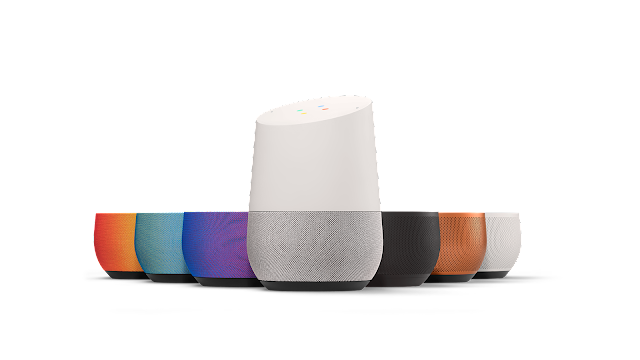 Google Home is a smart speaker, much like Amazon's Echo, which focuses on the artifically intelligent assistant. Users can ask the speaker to convert units while they're cooking, play podcasts and even control their smart home. It isn't clear when the speaker will be available in the UK. Read a review of the Amazon Echo here. Google showed off its Daydream hardware and software standard at its I/O developer conference earlier this year. The headset isn't comparable to a high-end, complex device such as the Oculus Rift, but is closer to a mobile VR device like Samsung's Galaxy Gear. The Daydream headset requires a user to slot in a Daydream-compatible smartphone before watching VR content. Most Android phones don't currently have the software or specs to support Daydream, but both new Pixel phones are Daydream-compatible. Initial reviews suggest the Daydream headset, like most other VR hardware, looks dorky but is comfortable and well-designed.